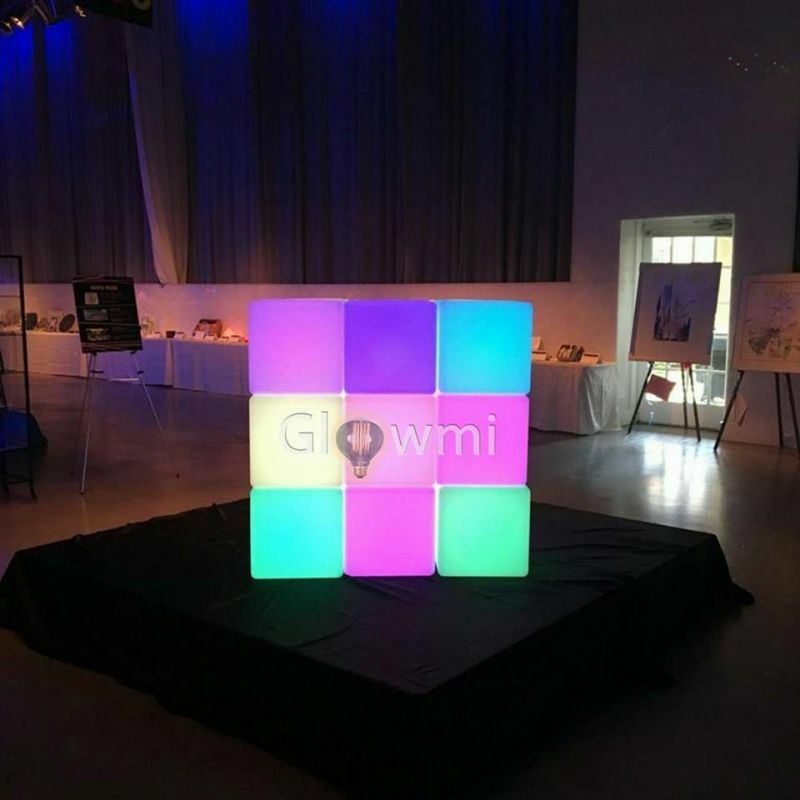 Glowmi was founded in October 2015. We have a passion for creating beautiful spaces and wanted to bring something unique and different to Toronto's event and party scene. There are many elements that go into planning that unforgettable party or event. Venue Selection, Food & Drink, AV & Lighting, Floral & Decor, Entertainment, Music and of course Event/Party Rentals which will elevate your event and allow you to add your own personal touch. Along the way you need reliable and dependable vendors who take what they do seriously and work hard to ensure everything goes smoothly without a hitch. That's where we come in. 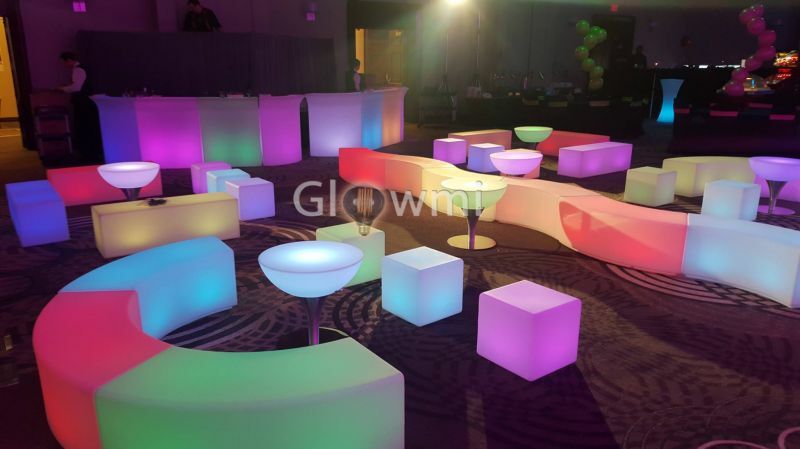 We are an event/party rental company in Toronto/GTA specializing in LED Glowing Lounge Furniture and Decor. Our team of professionals will take all the stress out of your event/party planning and be with you every step of the way. We believe in exceptional customer service and will help you with all the details. From Site inspections, design consultation and proposals, quotes etc all the way through till the end of your event including; cleaning and charging of furniture, timely delivery, setup and finally tear down once your event/party finishes. We are always on hand to help. This is how we separate ourselves from the others and why we are Toronto and the GTA's #1 LED Glow Furniture Rental company. We have worked with some of the largest companies in the country (see here), but whether your party/event is big or small, we always aim to provide the highest standard in both our equipment and the service we provide. Our LED Glow Furniture and Decor will add amazing ambiance and is the perfect addition for Social/Corporate Events, Weddings, Birthday Parties, Bar/Bat Mizvah, Trade Shows and more. Our Showroom is located in Mississauga, Ontario in Canada. Come and meet us to see all our products in person. 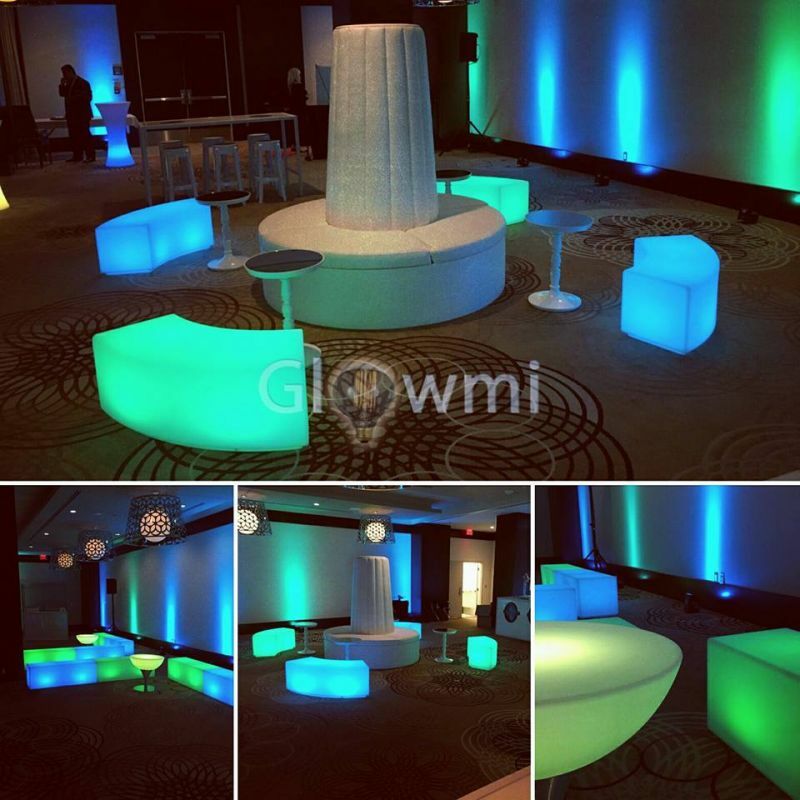 If you are planning an event/party and are interested to find out more, please call us on +1 647 678 0849 for a quote and to discuss your requirements, or send us a message at: events@glowmi.com. Our products are also available for purchase and are unique additions to home & garden, or commercial spaces like Restaurants, Bars, Nightclubs and Hotels. Call us for more details. Keep up to date with us on Social Media by following us on Facebook, Twitter, Youtube, Instagram, Pinterest and more. We love to engage with our customers, share ideas and showcase some of our amazing products and event staging as well as always being accessible to our customers. Ritz Furniture Planet Ltd 5200 Dixie Road, Mississauga ON L4W 1E8.